The farm-to-table movement has grown by leaps and bounds over the last few years – and now NYC chefs can pick up sustainable, 100% “nasty-free” produce grown within city limits. 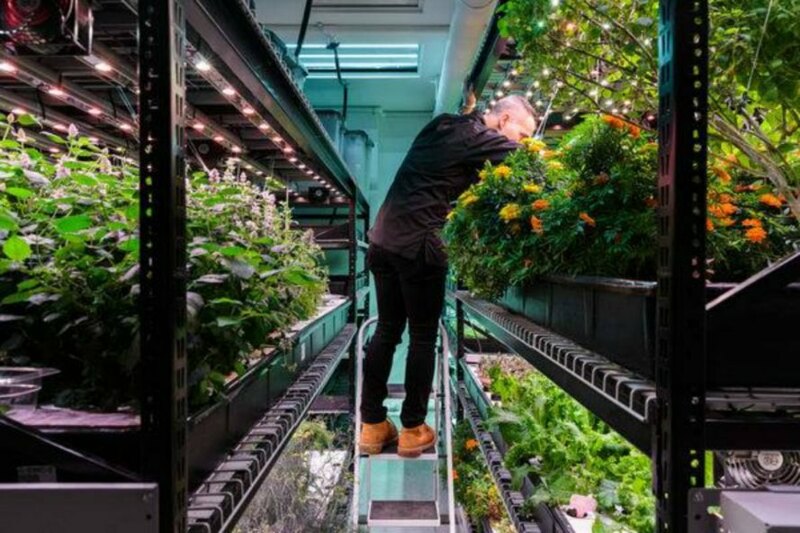 Farm One is a Manhattan-based hydroponic farm that grows hundreds of rare herbs, edible flowers and microgreens, which can be delivered to 90% of NYC restaurants by bike in just 30 minutes. In April 2016, Manhattan’s Institute of Culinary Education planted its very first on-site farm with over 150 crop varieties. The hydroponic gardens are lit by LEDs and feature high-tech systems that provide specific growing conditions for even the rarest of greens. The grow room is 100% free from pesticides and herbicides, and it uses around 95% less water than traditional gardens. The garden organizers have spent years researching and growing rare seeds from all over the world. 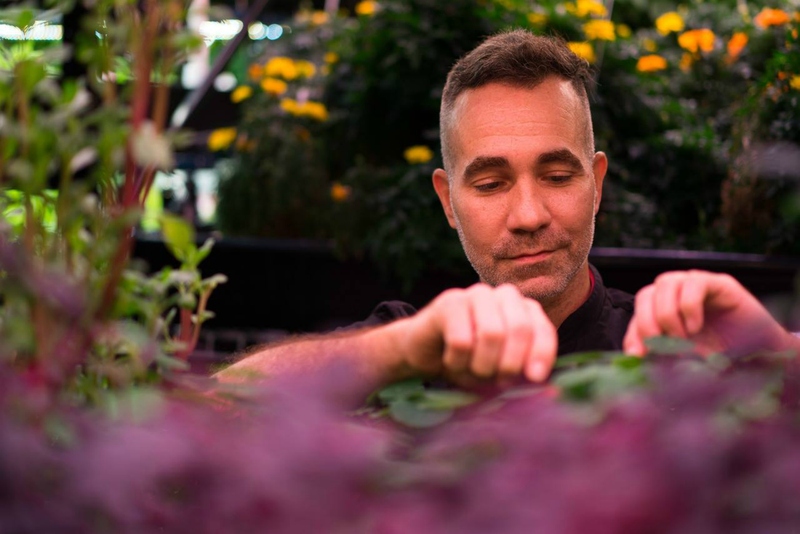 Farm One is currently one of the city’s largest providers of edible herbs and greens, and it’s a major resource for chefs looking to cook with fresh produce. The system is so efficient that local eateries can have their greens on-site just minutes after being harvested. 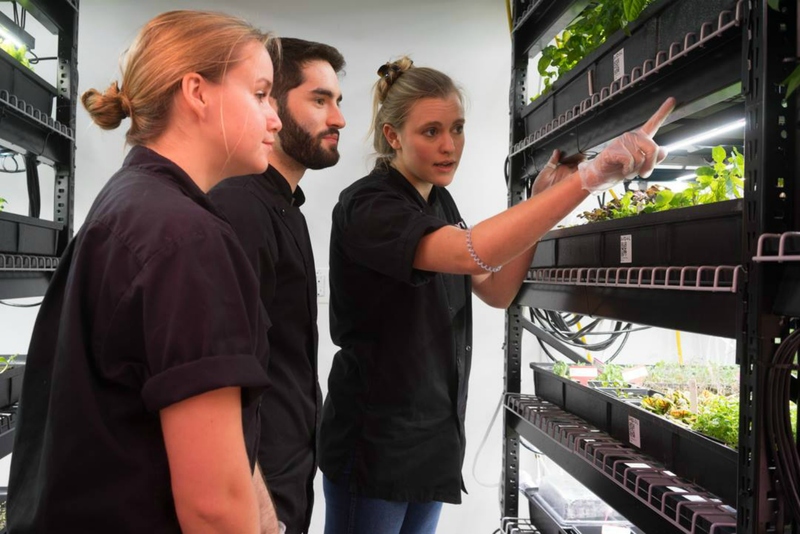 In addition to delivering fresh, sustainably-grown produce immediately after harvesting, Farm One offers classes and workshops on hydroponics and indoor farming for budding chefs or home cooks. 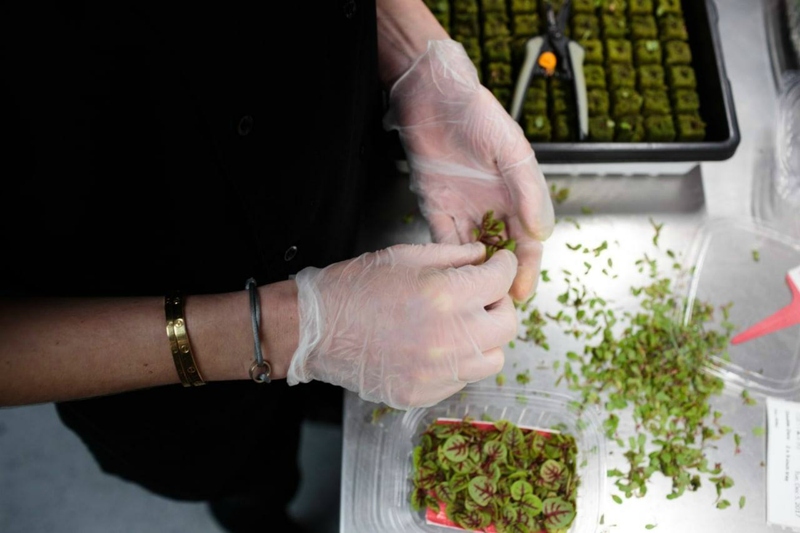 The Tribeca location also hosts tours where guests can taste dozens of rare plant varieties – most of which cannot be found anywhere else in New York. The farm-to-table movement has grown by leaps and bounds over the last few years - and now NYC chefs can pick up sustainable, 100% "nasty-free" produce grown within city limits. Farm One is a Manhattan-based hydroponic farm that grows hundreds of rare herbs, edible flowers and microgreens, which can be delivered to 90% of NYC restaurants by bike in just 30 minutes. 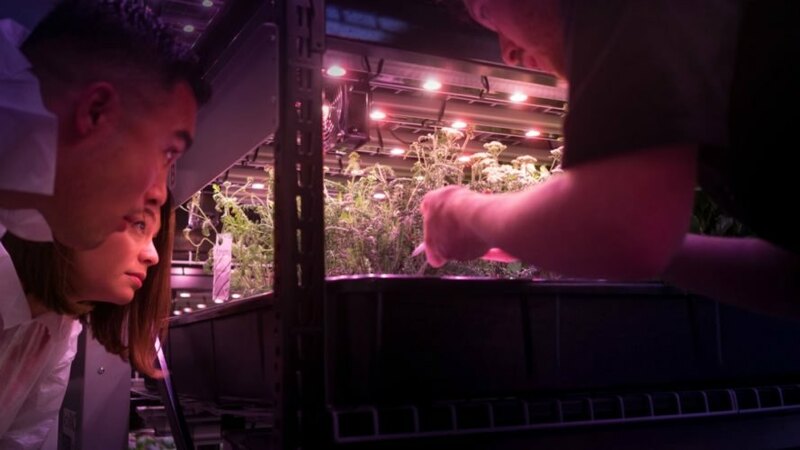 he hydroponic gardens are lit by LED-lighting and a high-tech system that provides specific growing conditions for even the rarest of greens. The grow room is 100% free from pesticides and herbicides, and uses around 95% less water than traditional gardens. The garden organizers have spent years researching and growing rare seeds from all over the world. Currently, one of the largest providers of edible herbs and greens, Farm One is a now major resource for chefs looking to cook with fresh produce daily. The Farm One garden is so fresh that local eateries can have their greens onsite in mere minutes after being harvested. Amazingly, the garden can even deliver to 90% of all NYC restaurants by bike in less than 30 minutes, eliminating emissions. The grow room is lit with LED lighting. 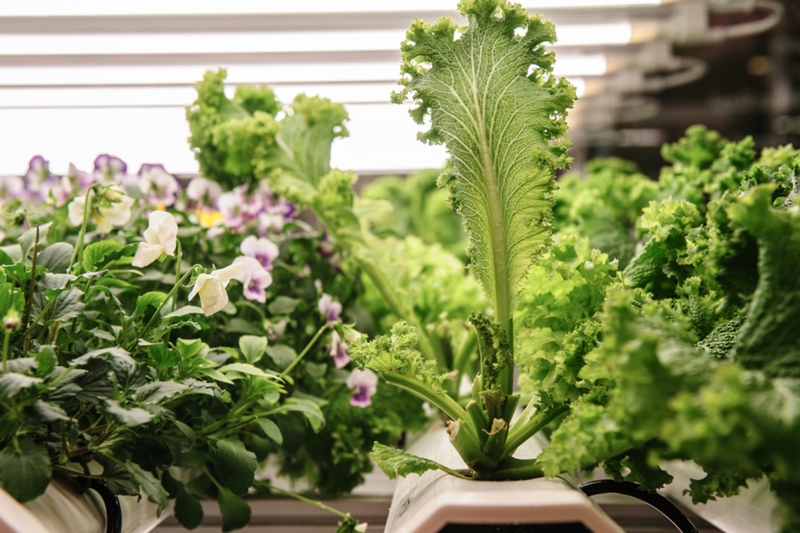 The edible garden is a new way of farming that creates a streamlined system of fresh, sustainably-grown produce to the table. 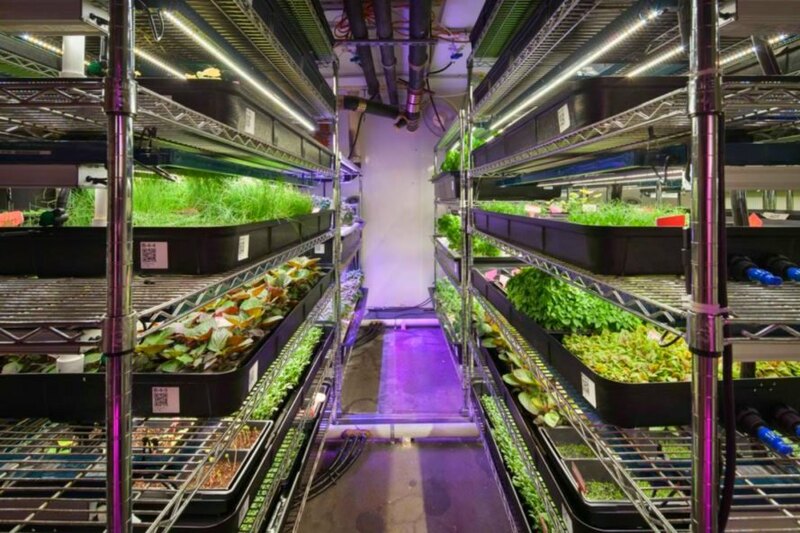 In addition, Farm One offers classes and workshops on hydroponics and indoor farming.